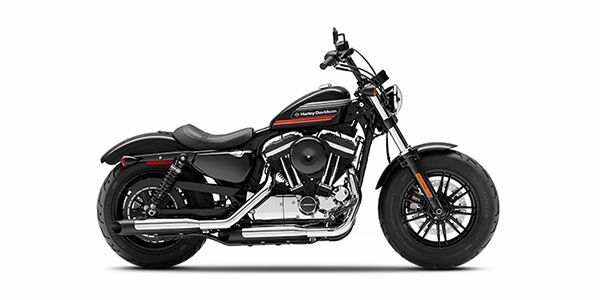 Harley-Davidson has introduced a new variant for the Forty-Eight, called the Forty-Eight Special. Priced at Rs 10.98 lakh, it costs a premium of Rs 40,000 over the standard variant. For the additional price, the new variant comes with “tallboy” handlebars and a new set of graphics on the fuel tank. Powering it is a 1202 V-Twin air-cooled motor churning out 97Nm of torque at 3,500rpm. Harley Davidson Forty Eight Special prices start at Rs. 10.98 lakh (Ex-Showroom). Harley Davidson Forty Eight Special is available in 1 variants and 3 colours. The claimed ARAI mileage for the Harley Davidson Forty Eight Special petrol is 20 kmpl.